Over the past half century, there have been unprecedented improvements in health outcomes, spurred in part by unparalleled scientific progress in the pharmaceutical sector. Yet access to the benefits of medical progress and scientific advancement has not been equitably shared and many innovation gaps remain. 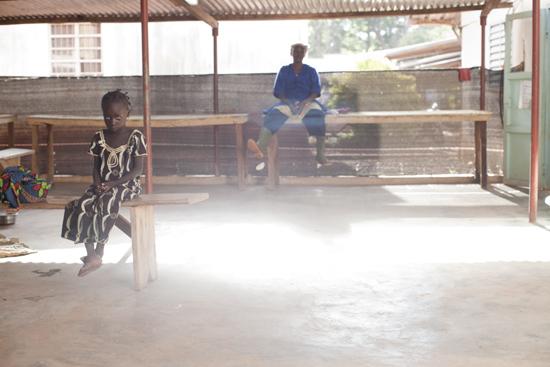 Patients in the waiting area at Koutiala Hospital in Mali. There are three fundamental problems with medical innovation today. First, global public health needs are not in the driving seat. Regardless of how great the needs may be, where commercial potential is weak, there is little “pull” to develop new technologies. The innovation cycle is broken, with few or no incentives for the development of effective, safe, quality, suitable and affordable health technologies—leading to needless suffering and death. There are numerous illustrations of the lack of suitable diagnostics, vaccines and medicines (see text boxes). 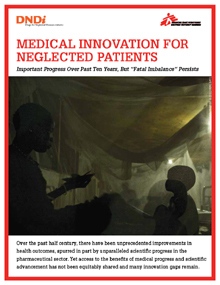 In addition to innovation gaps for Chagas disease, drug-resistant tuberculosis (DR-TB), and vaccinepreventable illnesses, other examples include diagnostics and treatments for leishmaniasis and human African trypanosomiasis (sleeping sickness); medical tools such as new diagnostics and appropriately adapted formulations for children with HIV/AIDS and TB; and new antibiotics to address the rise in antimicrobial resistance, which has made treating previously treatable diseases more difficult. Second, as a result, developing countries must often “make do” with innovation that primarily caters to conditions in developed countries. Medical tools are too often developed first for developed countries and only rolled out in resourcelimited settings in a second stage. Newer vaccines against rotavirus, for example, may have the potential to prevent lethal childhood diarrhea in Africa, but they have been developed with resource-rich conditions in mind. Rolling them out in developing countries will pose severe strains because these vaccines are incredibly bulky and come with considerable cold chain capacity requirements.i These worrisome findings should come as no surprise, however. If new medical tools are developed for and tested in developed countries alone, the needs of populations in developing countries will inevitably be an afterthought. Third, even when there is enough of a profit incentive to drive innovation—for example when diseases affect both developed and developing countries alike—the resulting products are too often priced out of reach. Developing countries are not the only ones to be hit, as ever higher prices for new medical tools strain the healthcare budgets of developed countries as well, posing access barriers to increasing numbers of people. New drugs to treat HIV or cancer can cost hundreds of times more than a person’s average annual income, and the battle for access increasingly has to be waged drug by drug, country by country, company by company. Medical innovation must aim to change practice, for the benefit of patients. But ideas, knowledge and inventions can only benefit patients who have access to the fruits of innovation. What is needed, therefore, is not just innovation—but both innovation and access.